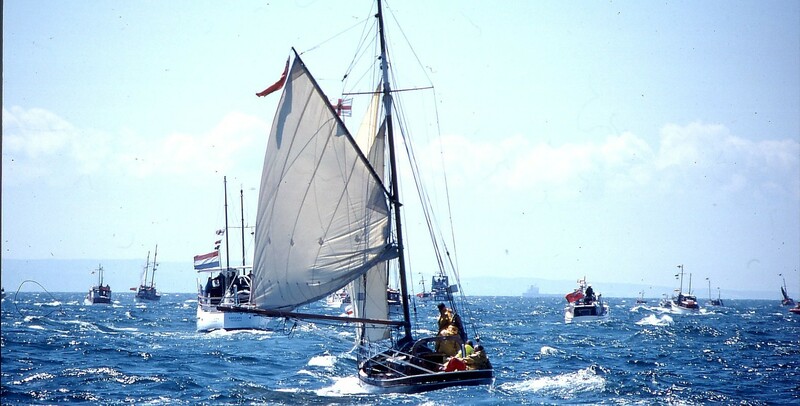 During the summer of 1948, the recently retired Brigadier was just completing his first sea voyage on the gaff-rigged cutter ‘Smew’. 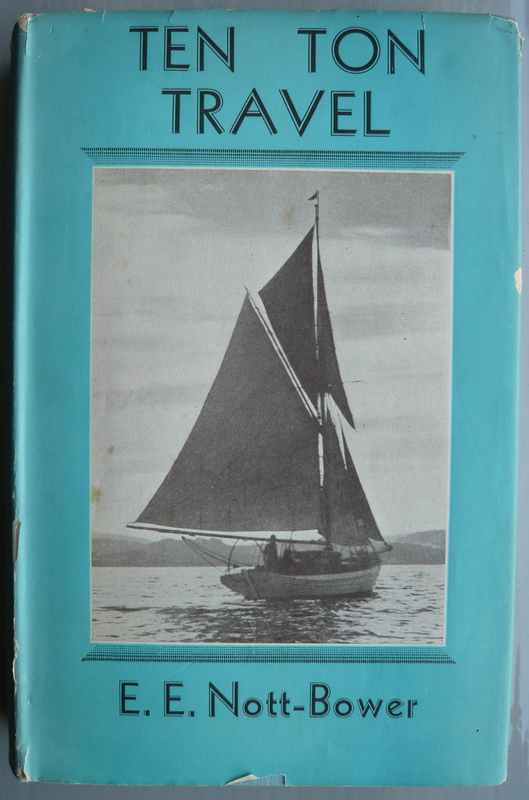 The voyage is brought vividly to life in his book ‘Ten Ton Travel’, published by John Murray in 1950. According to the Certificate of British Registry and Lloyds Register of Yachts, the Brigadier owned Cachalot from 1951 – 1957. He purchased her with funds from the insurance claim after the loss of ‘Smew’ off the west coast of Ireland. 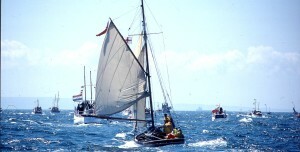 From their home in Devon, the Brigadier, his wife Angela and children Colin and Jill sailed ‘Cachalot’ on extended voyages including the Channel Islands, Ireland, West coast of Scotland, Caledonian Canal to Inverness, the Scilly Isles, Coast of Brittany and via the River Gironde and Canal du Midi into the Mediterranean. 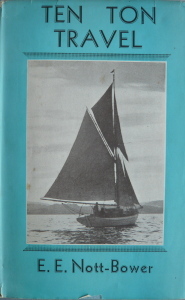 The Brigadier wrote an article for ‘Yachting Monthly’ in October 1955 describing his last voyage in ‘Cachalot’, leaving her in Andraitx, Majorca. 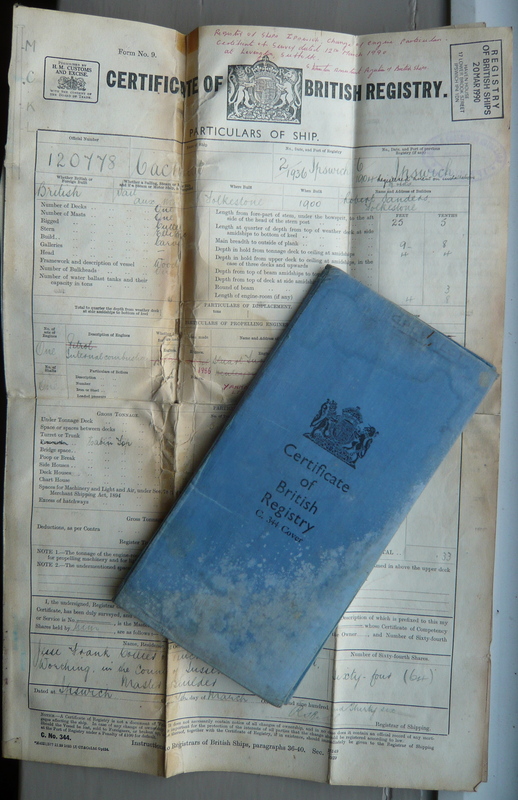 Perhaps her most illustrious owner, Sir Lancelot, is listed in the Certificate of British Registry as a Barrister. We know a little about his military career, but sadly, nothing about his interest in ‘Cachalot’. 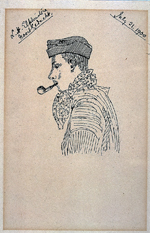 Lancelot Henry Elphinstone served in the 47th Coy., 13th Battalion, Imperial Yeomanry during the Boer War. 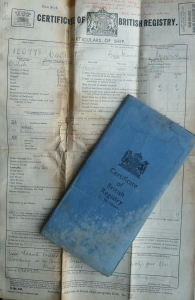 He was promoted from Second Lieutenant to Captain in the 14th Middlesex (Inns of Court) Volunteer Rifle Corps. in 1909. After the First World War, he was employed by the Honduras Trading Company loan Ordinance and in 1921 was Trinidad & Tobago Knight Chief Justice of Federated Malay States. In 1924 Lancelot Henry Elphinstone, Esq. was appointed a Puisne Judge of the Supreme Court of the Straits Settlements.